In our era of supersonic jets and spacecraft, the astonishment and thereafter the enthusiastic ecstasy which seizes the whole of Paris on that remarkable day and the weeks to follow, is hard to comprehend. The entire press celebrates this incredible event. “For the first time” a journalist writes “an aeroplane has flown over Paris, mocking the bastions, the municipal taxes and the obstacles of the capital such as underground corridors”. In the clubhouse of the ‘Société d’Encouragement pour la Locomotion Aérienne au moyen d’appareils plus lourd que l’air’ (‘Society to Encourage the Aerial Locomotion by means of heavier-than-air machines’) de Lambert is touched, celebrated, embraced, received by Orville Wright who just gets off the train from Berlin where he has taken care of a demonstration. 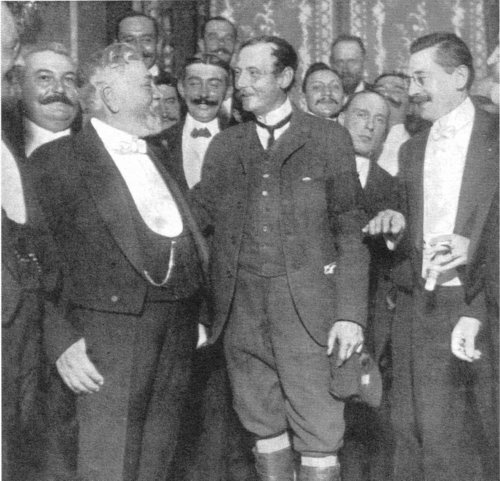 A certain Mr Dussaud gives a heart-warming toast in presence of Messrs Michel Clémenceau, director of Société ARIEL (sales company of the Wright machines with school at Port Aviation) and Géo Tharel, one of the directors of the ‘Compagnie Générale de Navigation Aérienne C.G.N.A.’ (financial company who bought the Wrights licences in France). That same evening, wrenched away from his family, still in his flying outfit, he is guided to the banquet, and pressed to comment on his act of heroism and he declares thereupon: “I am shy, really very shy, I have never spoken in public, you are asking me what I have done, well I have put a machine in order, and whenever one has a machine well in order, one has confidence in it and it is no more difficult to make a trip above Paris and to fly around the Eiffel Tower than to make a trip around an airfield and I confess that the applause greeting me on my return at Juvisy and the manifestation I received at my entrance, are really in disproportion with that which I have done. There was no wind, I have taken-off very quietly, I have taken the Eiffel Tower as target and I have flown straight to it, then I have gone around it and had some difficulty to find my way back, but the Seine has guided me, thereafter I have spotted a big white water tower in the distance and I have flown straight at it, I believe I have reached 600 metres”. The world is staggered about this exploit. 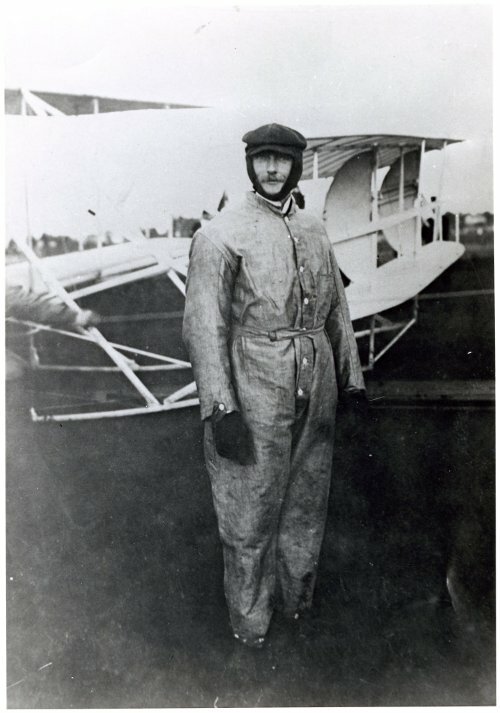 The ‘Aéroclub de France’ immediately awards Charles count de Lambert its Great Model in Gold and days later he becomes Knight of the Legion of Honour. He is photographed in the company of Gustave Eiffel, then with his wife, and with ministers at the controls of his Wright machine.